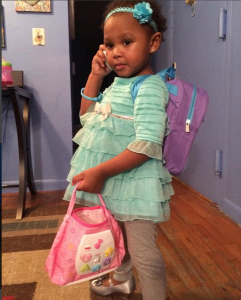 Two Year Old Dies In Fire Whilst Her Mum Is Stripping: Are We Right To Judge The Mother? Did we judge the McCanns like this? 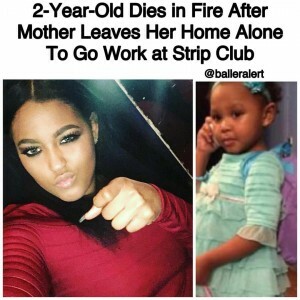 A 2-year-old girl was killed in a Brooklyn house fire, when she was left alone by her mother, who was out working as a stripper. Are we right to judge her as a horrible person? Are we influenced by her profession? What if she was a doctor like the Mccanns? 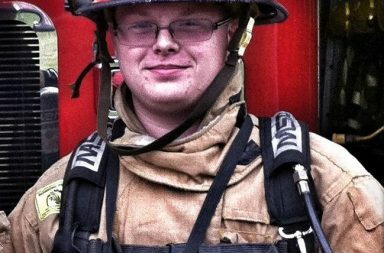 The New York Post has reported that tnvestigators said the scared little girl hid under her bed as the apartment was consumed by flames. 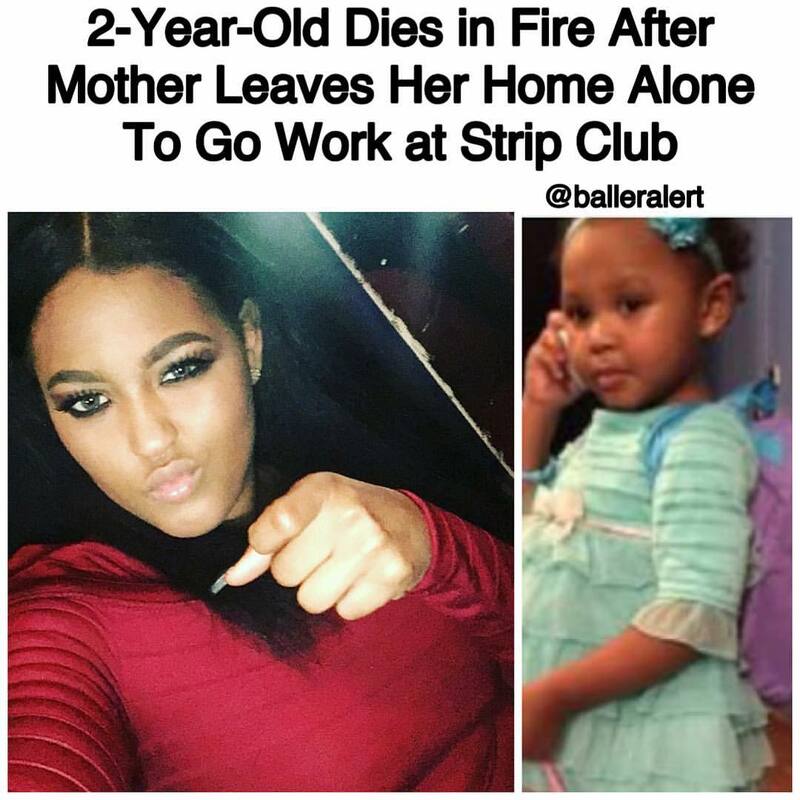 Moreover, firefighters didn’t even know the child was left in the home, until after they doused the blaze at 7:30 a.m.
Kalenah Muldrow’s body was discovered when her 20-year-old mother, Leila Aquino, returned home and notified police that her baby had been upstairs. Are we too quick to judge this young mother? This really is a sad and emotive story. No one wants to hear of a child dying. Especially, when the child’s mother should have been around to potentially protect their baby. Thus, it is those facts that enables social media to be quick to pass judgment and vent our collective anger. But, lets try and step back and access the story. Let’s try and understand the mindset and situation that made this young mother leave her child alone. Reports say she had left the child alone on previous occasions and was being investigated by local authorities. So, having been warned already what could have possibly made her make this fateful choice again? We know the mother worked as a Stripper at night. Some people will say she should have got a regular day job. Maybe she should have. However, there are number of things about her situation we do not know. We don’t know if she had been trying to find other employment, what level of education she has or whether she simply couldn’t find someone to look after her child whilst she would have been in a normal 9-5. These factors may have influenced her decision to carry on stripping. Which leads us on to the next point; her former babysitter has said that she stopped babysitting for her because she was still owed money. So, it would seem potentially this young mother was having money problems at the time. Moreover, it is possible she had no one else who would be able/willing to look after her baby. Think about it, a person usually only pays a stranger to look after their child if they have no friends or relatives whom are willing to look after their child for them. Is our anger at her leaving her child alone or that she was stripping whilst being a mother? If this mother has been at night school studying or say working as a nurse; would we been chastising her with so much anger? Or is because as a society we look down at strippers and the people whom choose to become one. Thus, the bad decision of leaving her child alone is exasperated by the reason she wasn’t at home being something we deem as negative. Compare our reaction to Madeleine McCann’s parents whom are doctors. They left their children alone in a foreign country; not for the purpose of earning money for rent. But, simply to eat in a restaurant. Remember Madeleine McCann was 3 years old; only one year older than this little girl. Yet, they have and continue to receive sympathy. Is a hotel room a safer place than your own home? : Does the differing reactions seem fair? Do you think a mother would choose to strip if she had other options of how to pay her rent and feed her baby? I don’t know the answer to this. There are some whom enjoy stripping but many who do it out of necessity. Rent and baby food don’t pay for themselves. With that said, all I have said is merely potential motivating factors for her actions; not excuses. I do think we can be too quick to judge sometimes. When in fact, no amount of judgment is going to bring this mother’s child back. I am sure she feels regret, sorrow and a sadness that will haunt her for the rest of her life. Therefore, the Facebook comments about her or too her aren’t going to help the situation any further. Therefore, I believe sometimes we must think of the bigger picture. We should look at the society that creates an environment where a young mother may need to strip in order to provide for her child. Yet, I could be wrong. There are many young mothers whom do not leave their children alone and find a way provide for them. Each case is different but this one resulted in the death of a little girl. Hopefully lessons can be learnt rather than a basic blame ritual. Do you think this mother is ‘bad’? Do you think society should look after young mothers better?